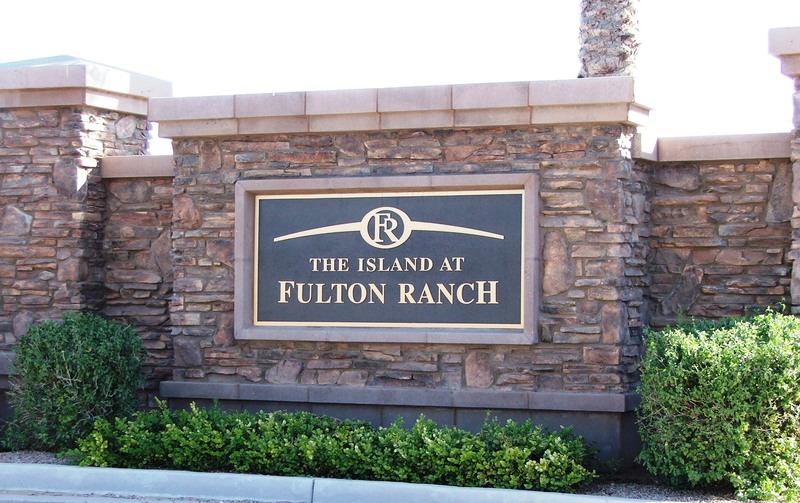 In the heart of Fulton Ranch are 64 lots in the gated community, The Island at Fulton Ranch. Over half of the lots are waterfront that range in size from over half an acre to over 1 acre. The majority are around 6/10’s of an acre. 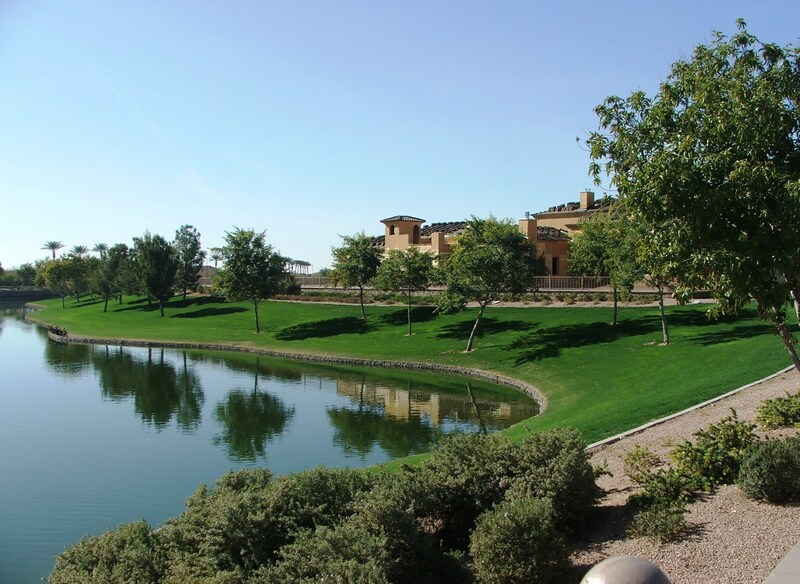 Homes in this exclusive Chandler gated luxury home community represent some of the most contemporary waterfront homes in the valley. 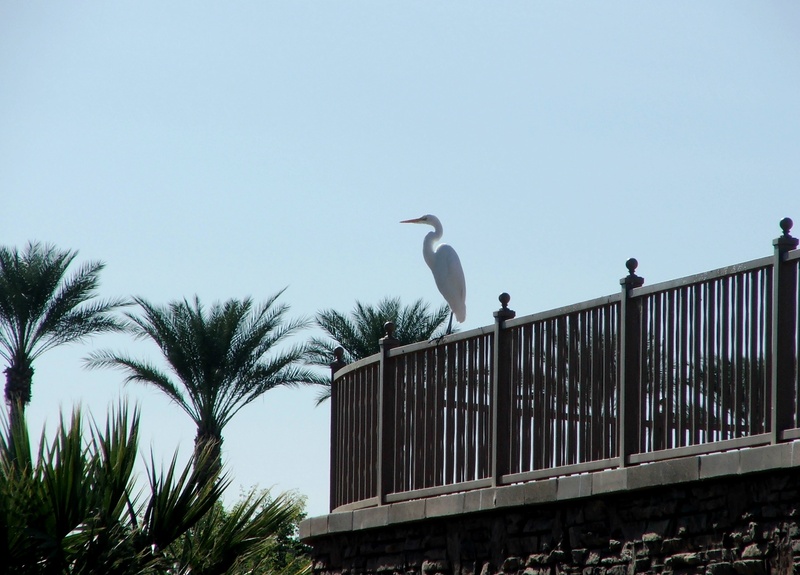 Fulton Ranch is the newest lake community in the east valley and covers 520 acres in south Chandler. Students in Fulton Ranch attend Ira A. Fulton elementary, Bogle Jr. High, and Hamilton High School in the highly rated Chandler unified school district. The property that is now Fulton Ranch was once owned by the Goodyear Tire and Rubber Company which raised cotton for the fiber to manufacture tires. When the lots became available in mid-2007, lakeview lots were selling for over $600,000. Since then prices have decreased and current selling prices for non-waterfront lots are in the $275K – $325K range while waterfront lots still sell at a premium near $400K. Building guidelines stipulate that custom homes built in The Island at Fulton Ranch include at least 4,000 sq.ft. of living space. If you would like more information regarding The Island, feel free to call or e-mail me. To receive listings automatically of available property, go to receive available properties automatically. Additional information can be found at Chandler Real Estate. Looks and sounds like a beautiful community. Previous PostPrevious Things to do in Gilbert, Az.